Robot vs Sloth is a collection of cute animals fighting each other + handmade local art. 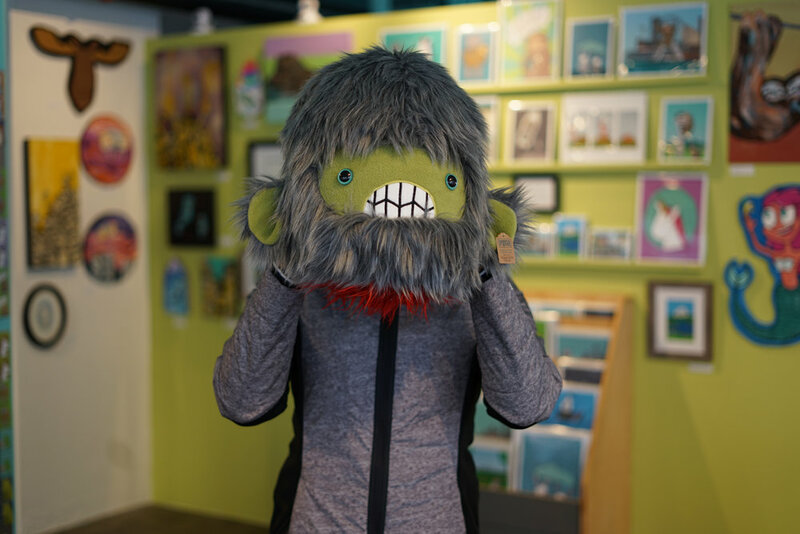 Seattle artist La Ru (Lauren Rudeck) created Robot vs Sloth to showcase her artwork as well as a curated selection of local (and some non-local) talented artists. 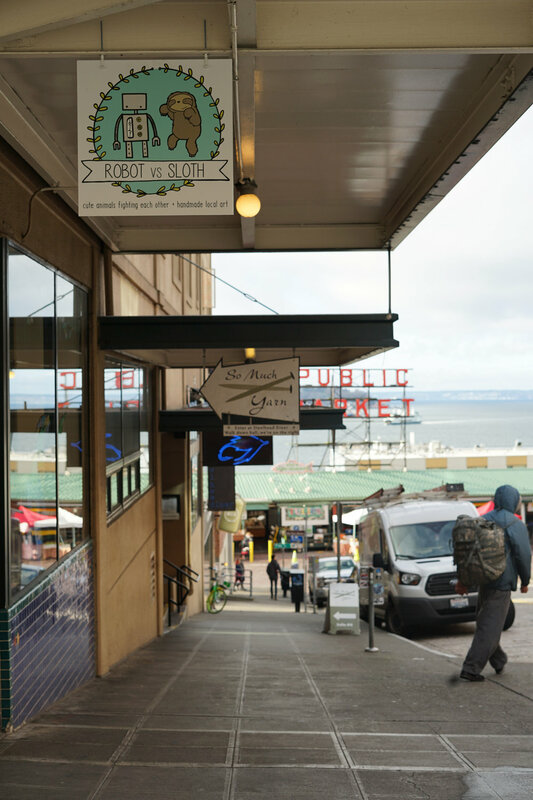 Robot vs Sloth opened in January 2018 and is located in the heart of Pike Place Market in Seattle, WA. Join us for our 1 Year Anniversary on February 10th from 10am - 7pm. For more information, click here. Why is it called Robot vs Sloth? People often ask why robots, why sloths? (La Ru here – owner and creator of Robot vs Sloth.) Well in the 80’s Seattle had a terrible sloth problem. By 1982 they were everywhere. So many sloths people were tripping over them, they’d fall out of trees onto their roofs, they’d climb important Seattle buildings; the sloths were taking over Seattle. During a heavily debated city council meeting, city council voted, 7 to 2, to bring in robots to take care of the growing problem. The robots came in, but went overboard, they got rid of all the sloths except for two that now live at the Woodland Park Zoo. The robots shipped all of the other sloths safely down to Costa Rica, where they have flourished as a species. February 10th is the anniversary of the infamous battle between the robots and sloths. Just kidding, but that would be a fun story, right? 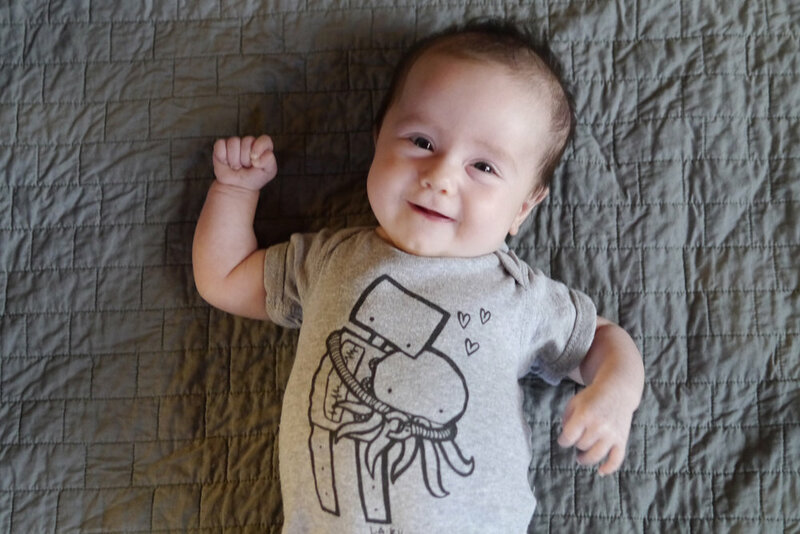 In 2012, La Ru opened a shop called Ugly Baby and La Ru, shared with another Seattle artist. It was a super small shop, located on the back side of the Pike Place Market. Over the years she grew her business and expanded her illustrations and products. After 5 years, she outgrew the space and found her new location. In January 2018, Robot vs Sloth had a soft opening and the official grand opening was February 10th. La Ru is a Seattle based artist and illustrator. She enjoys drawing cute animals and robots doing typically human things like going camping, exploring the moon, and going for hikes on Mt. Rainier. She has been published numerous publications and blogs including The Handmade Marketplace, Second Edition and Seattle's Child. La Ru has also created crafting tutorials for Sakura of America and Epson. In 2014 and 2015 I was a speaker at Craftcation Conference in Ventura, CA. Robot vs Sloth carries an expanded line of La Ru items: prints, originals, shirts, and more. 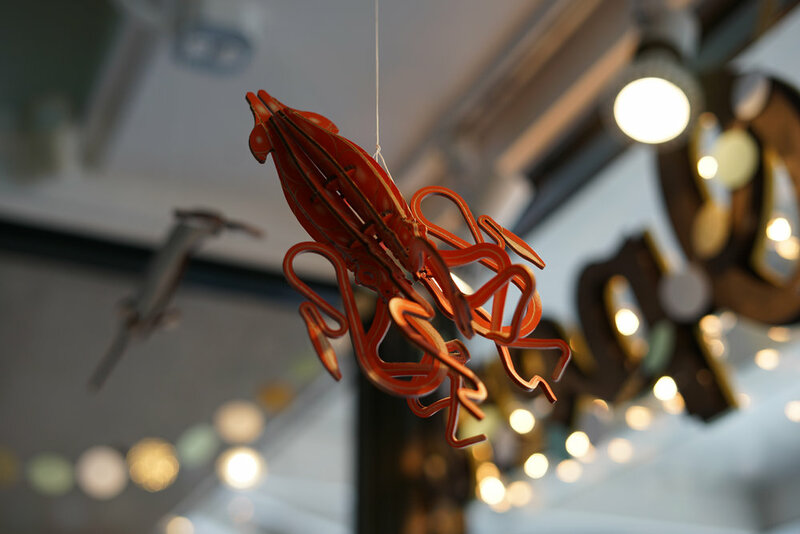 In addition to La Ru goods you will find a curated selection of handmade local art by some amazing Seattle artists (and a few non-Seattle artists). Robot vs Sloth also offers classes. Sign up for our mailing list if you would like to find out more.